Subject-matter experts join forces in Dallas to discuss today's supply chain challenges. 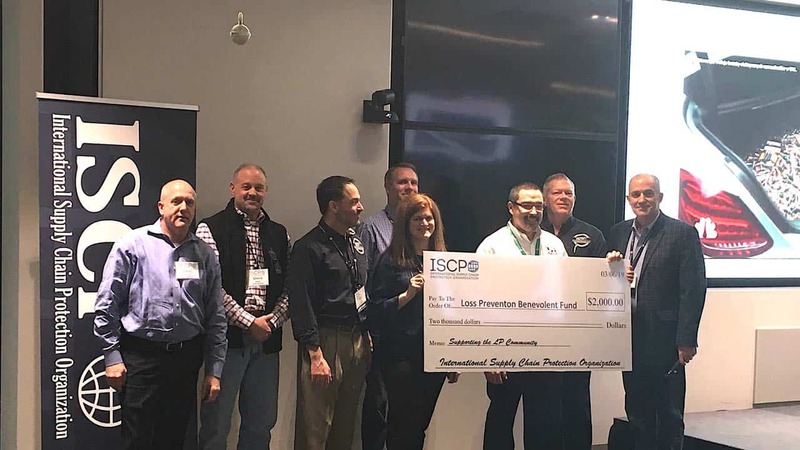 The fifth annual International Supply Chain Protection Organization (ISCPO) Conference was held March 5-6 at the 7-Eleven Store Support Center in Irving, TX. Emphasizing this year’s theme of “The Evolution of E-commerce Security,” ISCPO Chairman Byron Smith kicked off the two-day event by reinforcing a commitment from the organization to lead the way in supporting both supply chain and e-commerce protection efforts, the latter of which is seen as a critical aspect in the ongoing evolution of the supply chain function in 2019. This year’s event featured a wealth of topics focused on e-commerce protection. Following the opening remarks, former ISCPO Chairman Rod Fulenwider awarded Smith the organization’s Award of Excellence for stepping up in an exceptional way during Rod’s unexpected sabbatical in 2018. With the conference being held at the 7-Eleven Store Support Center, it was also an opportune time to introduce Art Lazo as the new vice president of asset protection at 7-Eleven—a great way to energize the room and commence the event. Offering a unique approach from other trade shows, the ISCPO conference invites retailers and solution providers to participate as an active part of the various presentations, allowing everyone the opportunity to learn while adding their own experiences and expertise to the discussions. The more intimate format allows for interactive contributions, a shared learning experience, and a more intentional networking opportunity for all in attendance. The conference agenda began with keynote speaker Albert Shen, CEO of Shen Consulting and senior advisor for Toyota Mobility Foundation at the Toyota Motor Corp. Shen took an in-depth look at “The Mobility Revolution,” how mobile technology continues to rapidly change the world around us, and how companies must continue to adapt to customers’ expectations to integrate with mobile technology. It was an engaging presentation covering many of the growing challenges faced along the supply chain as companies attempt to mitigate risk, maintain information security, and evolve to meet the needs and expectations of a new and involved customer experience. The afternoon continued to deliver thought-provoking speakers covering the evolution of e-commerce security and how advancements in technology continue to improve both the physical and digital security measures we are able to leverage. Another session, “Labor Shortages in the Supply Chain,” emphasized how finding qualified applicants has become more challenging as organizations compete to maintain their growth potential and increased sales and distribution volumes. The second day opened with a panel discussion reviewing the challenges of global fulfillment. This conversation was followed by a presentation, “Fentanyl, Opioid and Precursor Chemical Smuggling Schemes out of China,” conducted by Stephen F. Tracy from the US Postal Inspection Service (USPIS), highlighting the growing concerns of fentanyl in distribution streams, the need for partnerships to address the problem, and ways to further protect people from lethal doses of this drug. During a morning break, ISCPO presented a $2,000 donation to the Loss Prevention Benevolent Fund, reinforcing their continued support for loss prevention professionals who have experienced a serious life-changing injury or death while performing the duties of their profession. ISCPO awards a $2,000 donation to the Loss Prevention Benevolent Fund. This was followed by a presentation with Gene Maddox III, senior manager of international security — corporate security for American Airlines, discussing e-commerce partnerships. As product enters distribution and parcel fulfillment streams, organizations need to work together to investigate and address threats. The conference concluded with an exciting, behind-the-scenes look at an Amazon Distribution Center. Many of the attendees commented on how much they appreciated the more intimate format of the ISCPO conference, the opportunity for more meaningful networking opportunities, and the chance to evaluate solution provider offerings. It was a great opportunity to learn how retailers and solution providers are working together to address the risks and evolution of the ever-changing supply chain.